If you’re looking for a prime location for your German data center, Frankfurt is streets ahead of the competition. Without any doubt, this south-west German city is the telecoms hub for the entire country – and much of western Europe to boot, forming the point where both national and international data networks come together. Frankfurt data center boasts the most comprehensive and important fibre optics network in the world, which is why every international telecommunications company worth its salt has offices there, including the headquarters of some 92 telecoms infrastructure providers. When it comes to finding a data center, Frankfurt makes it easy, since it has the second highest concentration of data centers in Europe, making the city a great location for IT and internet services companies throughout the continent. 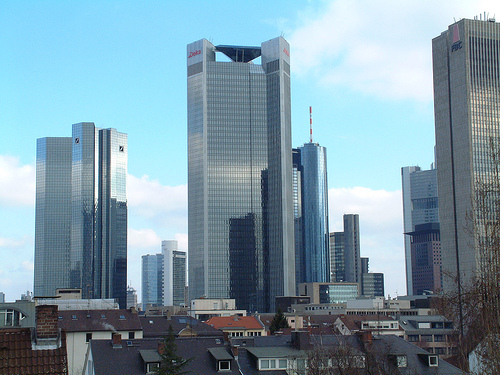 Frankfurt is also the home of Deutsche Telekom’s International Net Management Center (INMC), controlling and co-ordinating all telecoms nets across the globe. The body tasked with registering new internet addresses with the ending .de is kept busy, with a million being processed every year – the total currently stands at more than 13 million. A data center in Frankfurt can rest assured that is part of a vast conglomeration, with the city’s Commercial Internet Exchange one of the top three biggest data exchanges in Europe, handling 85 per cent of data traffic in Germany and 35 per cent of the traffic across the continent. This incredible wealth of IT and telecoms opportunities is largely due to the foresightedness of the city, which saw the vast potential of the IT and telecommunications sectors at a relatively early stage in its development. Even before the German telecoms market was liberalised in 1995, private telecoms companies were invited to install their own fibre optic cables, laying the groundwork for the superlative fibre optic network that exists today covering over 4,000km of the city, while the city centre is a forest of broadband technologies, such as DSL, satellite, UMTS and WLAN hotspots. One only has to glimpse at European job vacancies to see the number of vacancies for telecoms and IT positions in Frankfurt, as its telecommunications sector continues to expand. The city looks likely to remain at the top of the heap in this regard for some time to come. How to cheat in Tests Using iPod nano?1-Editor's Pick, InfoGraphics, Papa-Hacking, Techie-Jokes! 30 Artistic Shopping Bags Designs!Techie-Jokes!